MSMEs comprising 51 million units and producing diverse items form the backbone of Industrial landscape. 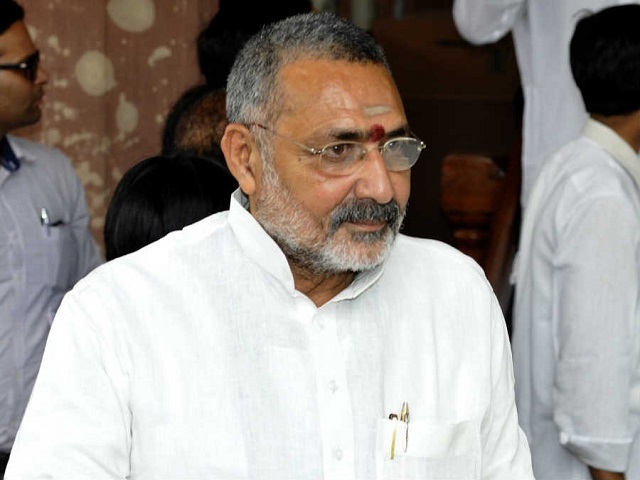 As the world is gearing up for Industry 4.0, the MSME sector needs to pay serious attention on manufacturing high quality and technological products, said Giriraj Singh, Minister of State for MSMEs (I/C). He was speaking at the 14th Global MSME Business Summit 2017, ‘Fostering Growth through Partnerships’ organized by Confederation of Indian Industry in partnership with Ministry of MSME and Department of Economic Affairs at New Delhi. Highlighting the role of Zero Effect Zero Defect in MSME sector, the Hon’ble Minister emphasized that technologies like 3D printing can help in reducing cost and time for MSMEs. Innovation is essential for competitiveness and to acquire this it is essential to understand and adopt emerging technologies like Artificial Intelligence (AI), Internet of Things (IoT) etc. which are going to define the future course for the industry, he added. Given that more than 60 percent of India’s population still lives in rural areas, it is equally important to tap the entrepreneurship potential of MSMEs in agriculture sector as well and bring in value addition in agro industries, Minister emphasized. K J Alphons, Hon’ble Minister of State for Tourism (I/C) and Minister of State for Electronics and Information Technology said that tourism industry is a huge employment provider, and there is need to explore other avenues, such as rural agro tourism. Best practices of other countries in Agro tourism should be adopted to explore the opportunities in the sector, he said. Underlining the role of technology, K J Alphons said that, ‘We want the whole country to benefit from technology’. Backed by technology,’ Ease of Doing Business’ has improved dramatically in the past 3 years and is going to become better in the coming times. Speaking on Indian-ASEAN economic cooperation, Preeti Saran, Secretary (East), Ministry of External Affairs said that current year being the 25th anniversary of the ASEAN-India, a series of activities have been taken during the course of the year to celebrate our relationship with ASEAN and will culminate in a summit in January where Prime Minster will be inviting all the leaders from the ASEAN member countries. Ms Saran also informed the audience of the various measures taken by the Ministry of economic affairs to promote the market access and trade promotion activities of the MSMEs. On exploring SMEs’ partnership opportunities with other countries Dr. Arun Kumar Panda, Secretary, Ministry of MSME emphasized on the need for information sharing and bridge building between counties and sharing the best practices in the areas of credit availability, Quality and creating an ecosystem for MSMEs by aligning “Process, Prices, People”(PPP) to make process more efficient, and prices more competitive. Dr Panda also spoke on creating an incentive system for upward graduation of Micro to small to medium enterprises so as to enable them to achieve economies of scale and incentivizing such graduation based on employment and wealth creation. Srikant Somany, Chairman, CII National MSME Council, said that MSME is an important pillar and has been at 10 percent growth consistently and the issues such as access to credit, ease of doing business Technological improvement, market access etc. before the sector needs to be addressed on priority. Vikram Golcha, Co chairman MSME said that the challenge of the 21st century for MSME is global competitiveness.